I happened to be in Nuggets Market, my favorite grocery store, when I came upon this recipe. I just had a reader ask for a hummus recipe and then a very good friend of mine, my assistant, asked as well. When Leora Wager@Sketching Out posted about a salad in a jar, I figured it was serendipity, as if it were meant to be, so here it is. Directions: Cut the radishes in quarters. 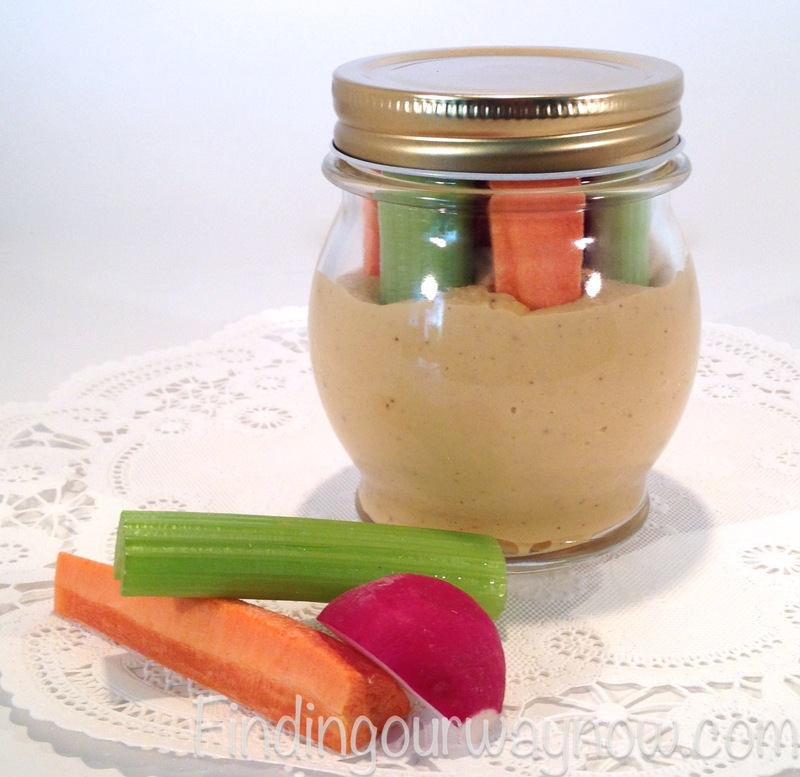 Prepare the celery and carrot sticks by cutting them just long enough to fit in the jar, allowing the lid to close. set the prepared veggies aside. Puree the remaining ingredients in the food processor then pipe or spoon the mixture into the canning jars, filling them half way. 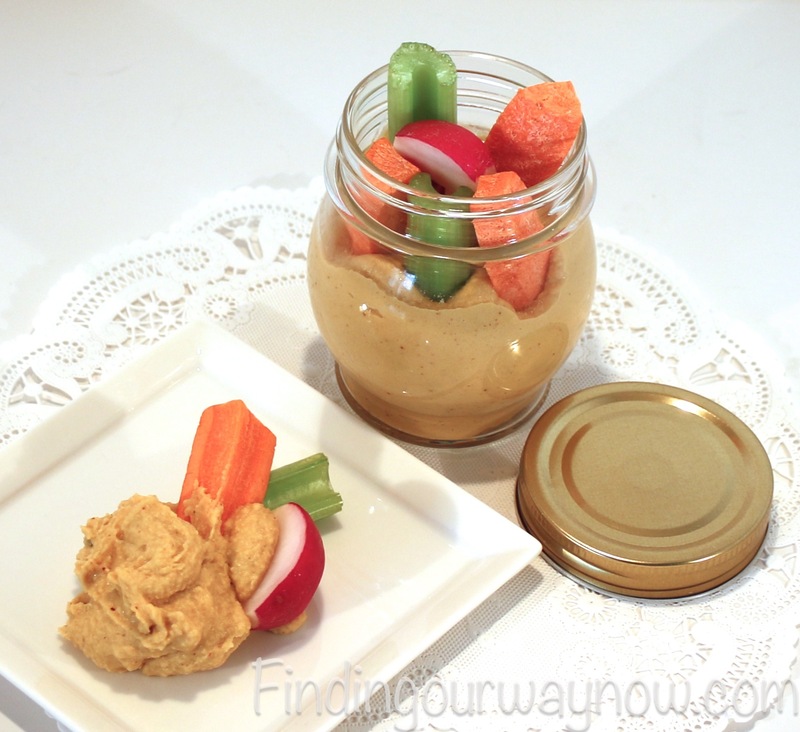 Push the veggies into the hummus alternating the 3 carrot sticks and 3 celery sticks around the side of the jars, then add the radishes on top in the center. Put a few extra veggies in ziplock bags if desired. 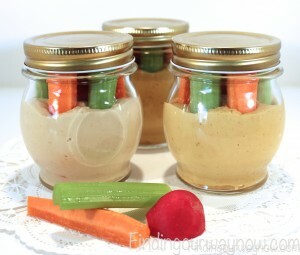 Notes: I would recommend that use a food processor for ease of making and transferring the hummus into the canning jars. 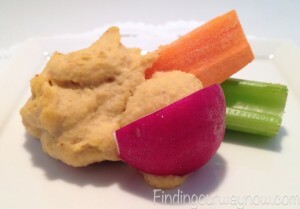 You can use a blender, but it is much more difficult to remove the hummus. You can use bottled lemon juice, but the lemon flavor will be a bit muted. I also made a bean dip using this recipe as the basis by substituting a can of Cannellini beans and 1/8 teaspoon of cayenne pepper in place of the Garbanzo beans and chili powder. It was just as good. 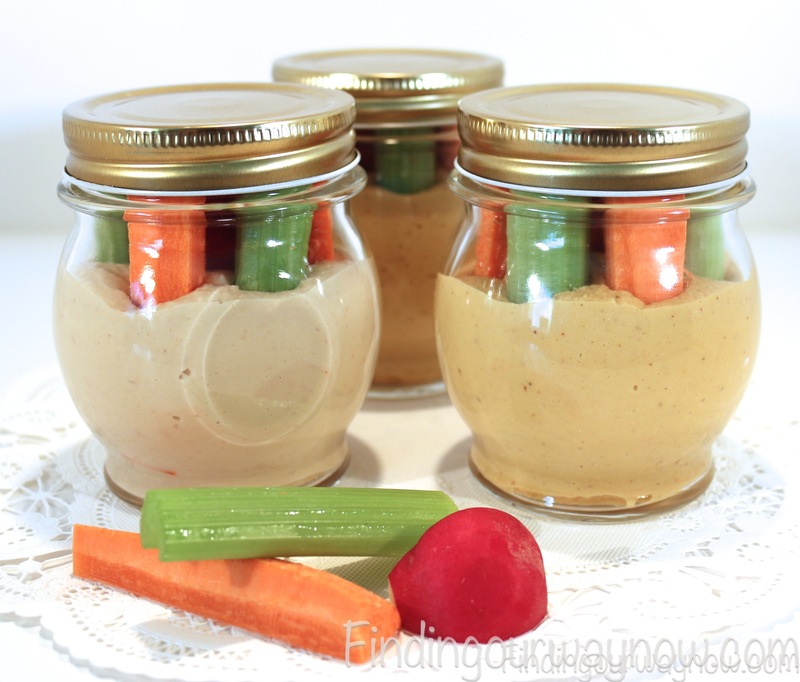 You can use larger jars if desired. I just like the individual serving size. I loved how this hummus recipe in a jar came out. It was a snap to make and oh so yummy too. These make great additions to a lunch pack or a picnic basket, great for any kind of summer fun. If you enjoyed this “Hummus Recipe In A Jar”, check out my Crunchy Garbanzo Bean Appetizer, Three Day Gravlax and this Warm Marinated Feta Cheese with Olives.